I love using wallpaper in my projects, but oddly don’t have any in my home… yet! 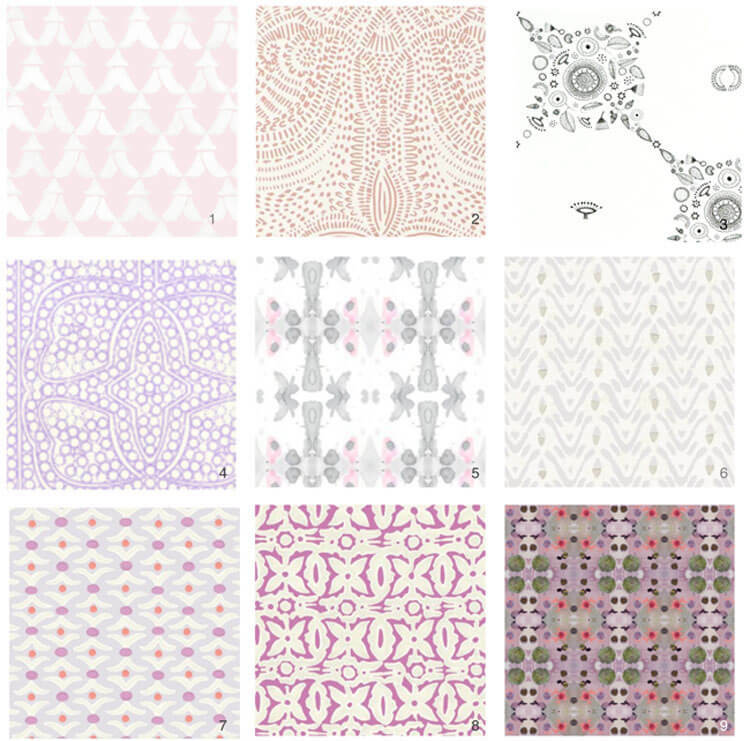 I’m redoing my daughter’s bathroom and I’ve been looking for a great bohemian yet feminine wallpaper. Bathrooms are the perfect place to push the design-envelope with a wallpaper because a bold statement wallpaper or color may be overwhelming in a larger, more visible part of your house. Bathrooms are smaller and don’t feel like a huge commitment if you want to make a change down the road. Also, statement wallpaper can visually enlarge a small room, especially if the scale of the print is large. My house is an original 1920s Spanish, and the earthy and casual feel lends itself perfectly to a bohemian vibe. The bathroom is at the top of the stairs on the second floor and if the door is open the wallpaper will be seen as you walk down the hall. So I want to make sure the pattern and color are cohesive with the rest of the house. My daughter is insisting on pink in the pattern, so I’m looking for something that doesn’t scream “8 year old” but will still check the box on her wish list. I’ve been looking for a while and have narrowed my selection down to these nine. After I choose a wallpaper I have to pick new tile flooring, lighting, plumbing fixtures and cabinetry – I promise to show you when it’s all done. Do you have a favorite from the Nine above? Let me know! hi there… you mentioned in one of your blogs your go-to sunbrella fabrics.. one was a neutral gray/ silver color and another color. i went back to find it on your website and could not find. can you please re-post? love your website, projects and blog. thank you!